Ever since Marvel launched their famous super heroes onto the big screens via their Hollywood incarnations, the entire world has gone absolutely nuts about this particular group of superheroes. Iron Man has certainly been one of the most recognized of the group and this slot by Playtech is motivated by this exact character and the movie. Iron Man 2 is the second incarnation of the game that features 50paylines across five reels, and four amazing progressive jackpots. The minimum bet allowed in Iron Man 2 is £0.01 per payline and the choice of payline is not allowed, meaning you will have to bet £0.50 at the minimum. The bet per line can be increased by up to £1 maximum, for a total bet of £50, making this an ideal slot for the high rollers. 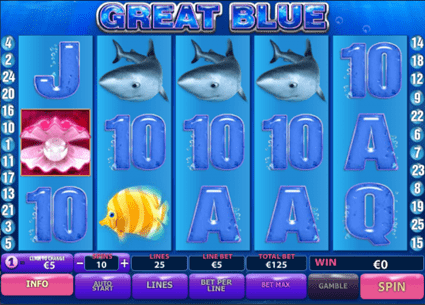 The slot features Free Spins feature, a Wild symbol and four progressive jackpots to be won by the luckiest of players. All the lower paying symbols come stacked two at a time, while the highest paying symbols appear one at a time. The Wild symbol substitutes for all except the Scatter, which is used to activate the Free Spins. The progressive jackpot game starts randomly for all players playing the Marvel slots and the luckiest players in this may end up walking away with life changing money. All Playtech casinos offers Iron Man 2 as it is one of their most recognizable titles. If you are looking for an Iron Man 2 casino you have come to the right place. We have conducted our research and found many Iron Man 2 casinos, all you need to do is pick the one you want to play, read through the Iron Man 2 instructions and you will be ready to play Iron Man 2. This Marvel themed slot by Playtech features 50paylines across 5 reels. With stacked symbols, the odds of getting multiple lines on a single spins increases quite a bit. 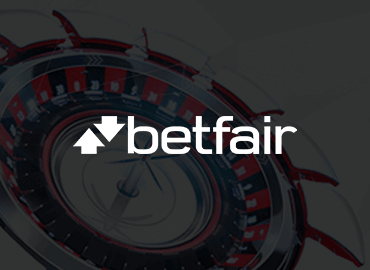 You can bet anywhere between £0.01 and £1 per payline, making the total bet anywhere between £0.50 and £50. The four lowest paying symbols in Iron Man 2 are represented by Iron Man in different combat positions. 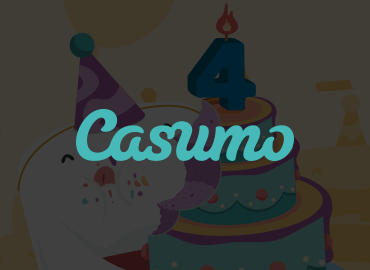 The lowest paying symbol in the game comes stacked and pays 5 coins for a combination of three, 15 coins for a combination of 4 and 30 coins for a combination of five on any payline. This symbol does not trigger any Bonuses or Free Spins. The next Iron Man position pays 7 coins for a line of three, 25 coins for four and 50 coins for a line of five. The symbol also comes stacked and does not trigger any Bonuses or Free Spins. This Iron Man 2 symbol pays a bit higher again, paying 10 coins for three on a line, 30 coins for four and 75 coins for a line of five. This Symbol is also stacked in twos and does not trigger Bonuses or Free Spins. This final of the four low paying symbols in the game of Iron Man 2 pays 10 coins for just three on a payline, 50 coins for four and 100 coins when five of them appear on a single payline. 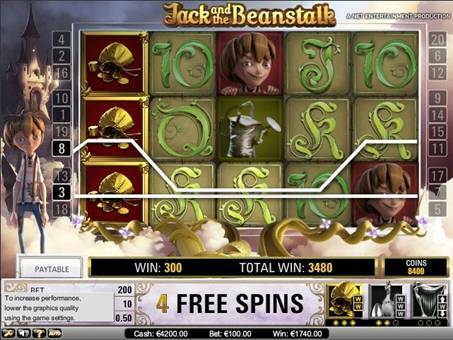 The symbol comes stacked and does not trigger Free Spins or Bonuses. A mean looking Iron Man in silver suite is next up, paying 15 coins for three, 75 coins for four and 150 coins for four of these Iron Man symbols on a payline. The symbol comes stacked and does not trigger any Bonuses or Free Spins. In his recognizable red suite Iron Man is the next symbol as well, this time paying 25 coins for three, 100 coins for four and 200 coins for five on a payline. 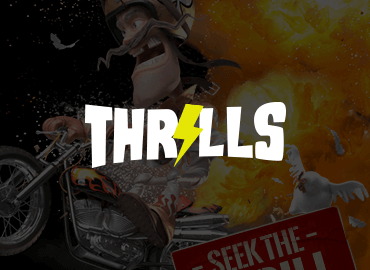 The symbol comes stacked and cannot help trigger any Bonus or Free Spins. The first of the three most valuable symbols in the game is the infamous Igor Vanko. This character well known to all Marvel fans is just as important in the game as he is in the movie. This symbol pays 50 coins for a combination of three, 200 coins for four and 400 coins for a combination of five on a payline. The symbol comes in singles and does not trigger any Bonuses or Free Spins. Natasha Romanoff is the next character from the Marvel Universe you will encounter in this game and the symbol with her face is the penultimate in value in the slot. A combination of three of these symbols pays 50 coins, four pay 300 while five Natasha symbols pay 600 coins to the player. This single symbol cannot trigger any Bonuses or Free Spins. Tony Stark is probably the best known character in the world of Marvel superheroes and as such his face is on the most valuable regular symbol in the game. A combination of three will pay 75 coins, four will pay 500 and five Tony Stark symbols will pay an even 1.000 coins. 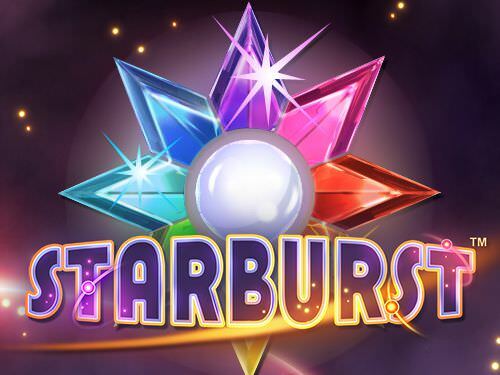 This symbol also comes in singles and does not pay any Bonuses or Free Spins. The Wild symbol substitutes all regular symbols and will pay 10 coins for a combination of just two, 100 coins for a combination of three, 1.000 coins for a combination of four and 3.000 coins for a combination of five on any payline. The symbol does not activate any Bonuses or Free Spins, but is the highest paying single symbol in the game. The point of the game will be to activate the Free Spins feature with multipliers and this is done by collecting three or more Scatters anywhere on the board. 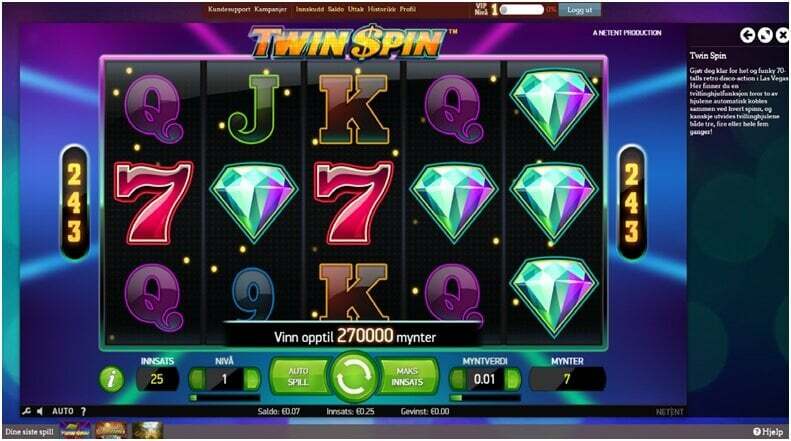 The Free Spins feature awards the player with 10 Free Spins wit growing multiplier. The player will play two spins with a 2x multiplier, two spins with a 3x multiplier, two spins with a 4x multiplier, two spins with a 5x multiplier and the two final spins with the amazing 6x multiplier. 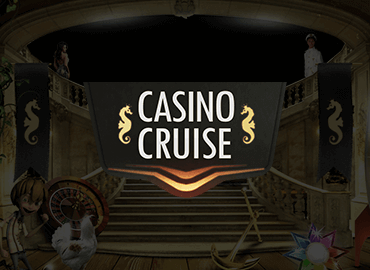 An additional Wild symbol is also available in the Free Spins, giving you even more chances to win. In addition to the Free Spins, the Scatter symbol also pays money whenever it appears more than once on the board. Two Scatters pay the full amount of the bet per line, three pay 3 times the bet, four pay 10 times the bet, while five Scatters on the board will pay 100 times the total bet or 2.500 coins. The betting in Iron Man 2 is very simple. 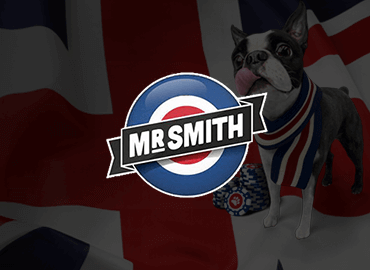 You will have to play all 50 paylines, making the minimum bet £0.50 per spin. 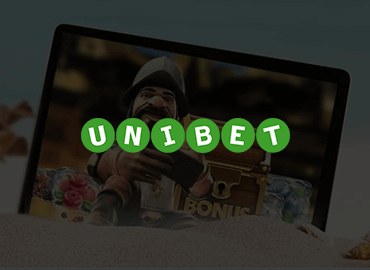 You can then opt to increase the value of every coin to up to £0.10 and bet as many as 10 coins per payline, for a maximum total of £50 per payline, for the more high stakes players. If you are still in doubt about the peculiarities of Iron Man 2 and any fine detail, please watch the video below. We made this Iron Man 2 instructions video just for you, so you could have a full insight into how to play Iron Man 2 before you actually jump into the game. 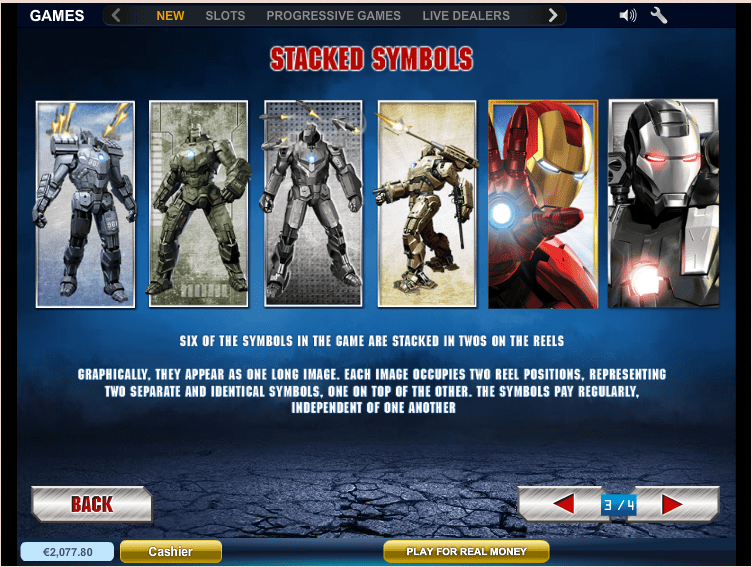 The Iron Man 2 slot, like other Marvel slots was made by Playtech, a long time champion of the industry that powers many of the world’s finest online casinos. As such, the graphics are flawless and do their best to depict the movie of the action heroes from the Marvel movies. The combination of graphics and animations will surely give you flashbacks of Iron Man movies and you are bound to get at least a little bit excited if you are a fan of the franchise. The depictions of your favorite heroes and antagonists resemble those from the movies in great detail and are created to appeal to the Marvel fan in you. When it comes to the payouts, Iron Man 2 stands independently assessed at 96% payout rate. 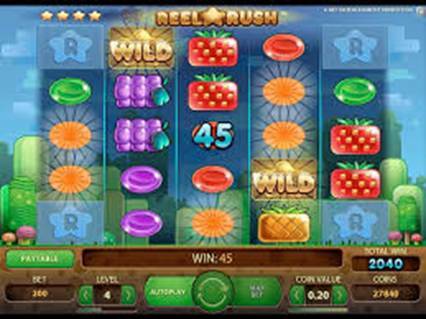 While this is not the highest in the industry, it is very close to the top and in the long run you can expect to get almost as much back as you would from any other slot. That said, Iron Man 2 along with other Marvel slots does feature the Jackpot game, during which you will have a chance to win one of the four progressive jackpots, and which comes into account when calculation the payout rate. The progressive jackpots are really hard to win though and you will generally only get access to the game if you are betting pretty high. The four jackpots available are called Power, Extra Power, Super Power and Ultimate Power and will pay a few hundred, few thousand, over ten thousand or even over one hundred thousand pounds respectively if you do hit them in the jackpot game. 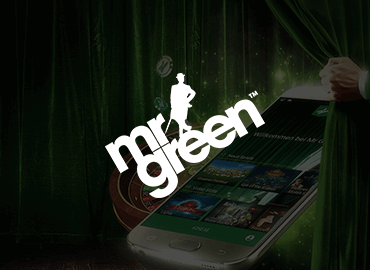 The Playtech powered online casinos that offer Iron Man 2 in their game selection usually have this game as one of the first to pop up on the mobile platform as well. 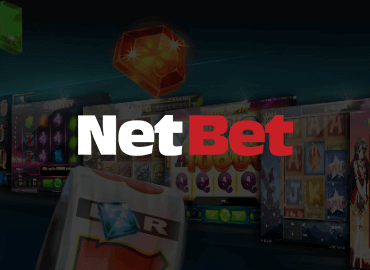 The popular progressive jackpot slot is available for Androids and Apple devices across many online casinos and you can play in on the go with no major issues. 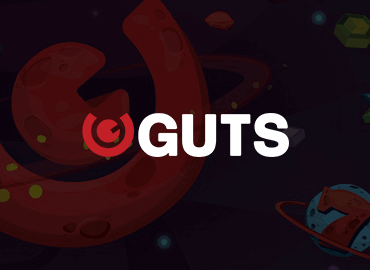 The game was added to the mobile platform quite quickly after first being published due to the amazing popularity of the franchise which makes this slot one of the most played Playtech slots out there. If mobile gaming is what you are into, you will still have a great time playing Iron Man 2 any time, any place. The Iron Man 2 game has been an absolute success for Playtech and they could have expected as much given the popularity of the franchise. But it is not just the franchise that makes people play Iron Man 2, it is also all the exciting ways you can win tons of cash and the truly well-made game which is at the top of the industry in most of its aspects. We hope our Iron Man 2 review has helped you better understand the way the game is played and what exactly you stand to win if you get lucky, so that you can make an educated decision whether or not you want to play the game. 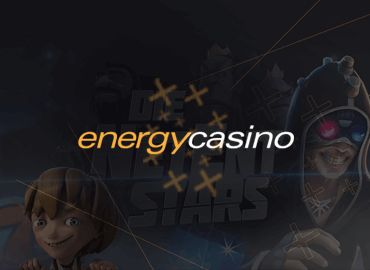 If you did find yourself itching to play, all you have to do is register at one of the Iron Man 2 casinos you can find on this page and create an account. You could be Playing Iron Man 2 within minutes, so have at it and best of luck.